Adobe Illustrator Level 2 will delve deeper into more advanced Illustrator techniques. You will learn the tools that will help you create quicker and more complex shapes. Get tips and tricks to work smarter. 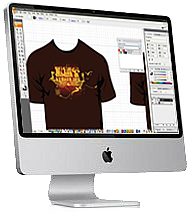 Illustrator | Power Users is for experienced Illustrator users, professional designers, illustrators, pre-press professionals, marketing professionals, or students looking to advance their skills.